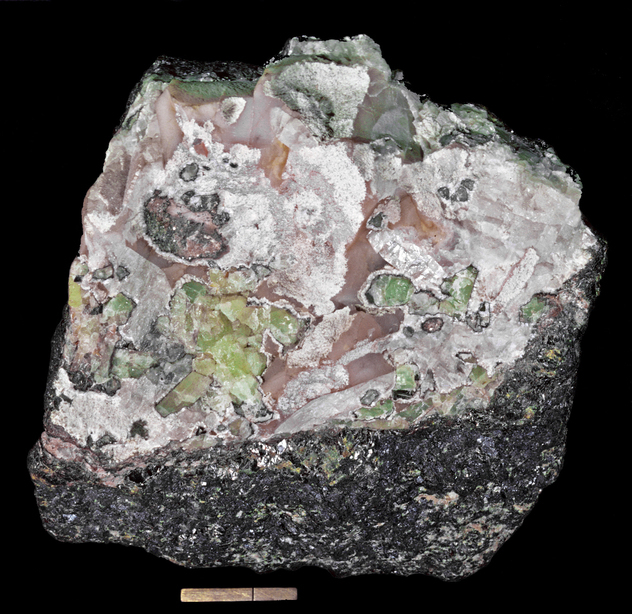 Roeblingite: Mineral information, data and localities. Named in 1897 by Samuel Lewis Penfield and Harry Ward Foote in honor of Colonel Washington A. Roebling (26 May 1837, Saxonburg, Pennsylvania, USA – 21 July 1926, Trenton, New Jersey, USA), founder of the Mineralogical Society of America, engineer, inventor of the diving bell, builder of the Brooklyn Bridge, and avid mineral collector, donated collection to Smithsonian. This page provides mineralogical data about Roeblingite. As dense, compact masses of tiny lathlike crystals. National Museum of Natural History, Washington, D.C., USA, R8824,124351. The Natural History Museum, London, England, 1925,69. Hendricksite 23 photos of Roeblingite associated with Hendricksite on mindat.org. Xonotlite 19 photos of Roeblingite associated with Xonotlite on mindat.org. Clinohedrite 18 photos of Roeblingite associated with Clinohedrite on mindat.org. Ganophyllite 18 photos of Roeblingite associated with Ganophyllite on mindat.org. Hancockite 7 photos of Roeblingite associated with Hancockite on mindat.org. Willemite 6 photos of Roeblingite associated with Willemite on mindat.org. Pennantite 2 photos of Roeblingite associated with Pennantite on mindat.org. Charlesite 2 photos of Roeblingite associated with Charlesite on mindat.org. Thomsonite 1 photo of Roeblingite associated with Thomsonite on mindat.org. Copper 1 photo of Roeblingite associated with Copper on mindat.org. Penfield, S.L., Foote, H.W. (1897) On roeblingite, a new silicate from Franklin Furnace, N. J., containing sulphur dioxide and lead. American Journal of Science: 153: 413-415. Blix, R. (1931) The chemical composition of roeblingite. American Mineralogist: 16: 455-460. Palache, C. (1935), USGS PP 180: 113. Hurlbut, C.S., Jr., Baum, J.L. (1960) Ettringite from Franklin, New Jersey. American Mineralogist: 45: 1137-1143. Foit, F.F. (1966) New data on roeblingite. American Mineralogist: 51: 504-508. Dunn, P.J., Cabri, L.J., Clark, A.M., Fleischer, M. (1983) New mineral names. American Mineralogist: 68: 849-852. Dunn, P.J. 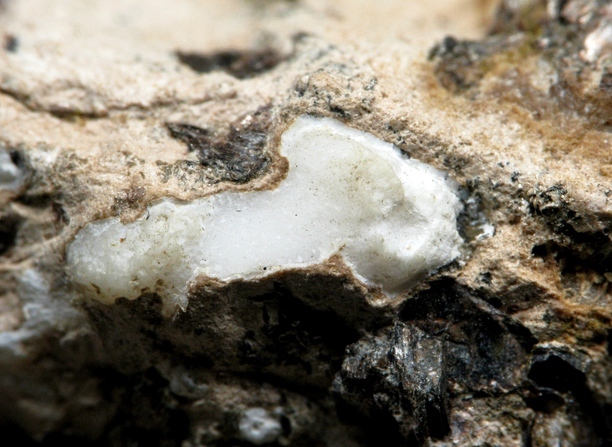 (1983) Pyrobelonite from Franklin, New Jersey. Mineralogical Record: 14: 203-204. 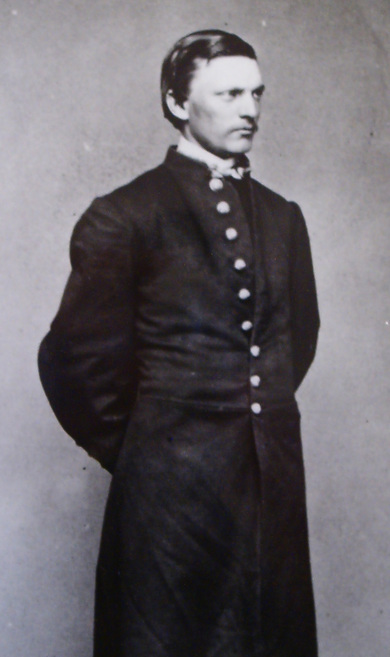 Moore, P.B., Shen, J. (1984) Roeblingite, Pb2Ca6(SO4)2(OH)2(H2O)4[Mn(Si3O9)2]: its crystal structure and comments on the lone pair effect. American Mineralogist: 69: 1173-1179. Dunn, P.J. (1985) The lead silicates from Franklin, New Jersey: occurrence and composition. Mineralogical Magazine: 49: 721-727. Braithwaite, R.S.W. (1985) Roeblingite: a revised formula from infra-red and thermal analysis data. Mineralogical Magazine: 49: 756-758. Dunn, P.J. 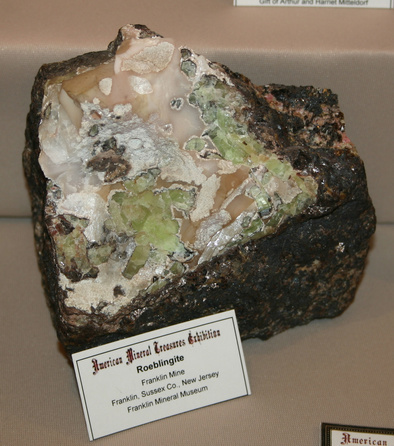 (1995) Franklin and Sterling Hill New Jersey: the world's most magnificent mineral deposits, part 4: 503. Dunn, P.J. : Min.Rec. :14:203-204 (1983); Hurlbut, C.S., Jr. & Baum, J.L. : Am.Min. :45:1137-1143 (1960); Palache(1935):113; Dunn(1995):Pt4:503.